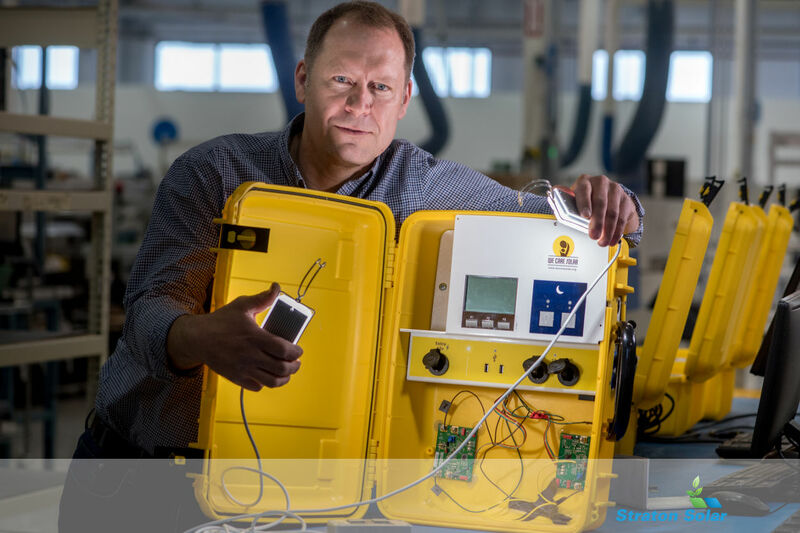 COLORADO, United States of America, April 8, 2019/ — Arrow Electronics (FiveYearsOut.com) and nonprofit We Care Solar (www.WeCareSolar.org) won the 2019 Edison Award for Social Innovation for its joint development of Solar Suitcase 3.0, a portable and durable power system that provides sustainable energy for around-the-clock, effective obstetric care in remote and off-grid maternal health facilities around the world. The Edison Awards, named after Thomas Alva Edison, recognizes and honors the world’s best innovators and innovations. This year marks the 32nd year the Edison Universe organization has recognized technology innovation in categories ranging from medical advancements to building materials.